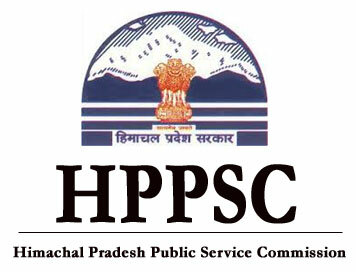 HPPSC Result 2019: Below are the latest results published by HPPSC - Himachal Pradesh Public Service Commission / www.hppsc.hp.gov.in. The recent result announced by the organization is HPAS Combined Exam 2017 Score List 2019. HPPSC HPAS Combined Exam 2017 Score List 2019: Himachal Pradesh Public Service Commission has announced the Result on 18 Mar 2019 for HPPSC HPAS Combined Exam 2017 . HPPSC HP Judicial Services (Pre) Exam Result 2019: Himachal Pradesh Public Service Commission has announced the Result on 13 Mar 2019 for HP Judicial Services (Pre) Exam 2019 which was conducted on 03 Mar 2019. HPPSC HP Subordinate & Allied Services Exam 2017 Result 2019: Himachal Pradesh Public Service Commission has announced the Result on 21 Feb 2019 for the exam . HPPSC Assistant Professor (College Cadre) Personality Test Result 2019: Himachal Pradesh Public Service Commission has announced the Result on 21 Feb 2019 for Assistant Professor (College Cadre) Personality Test 2019 which was conducted on 13 Feb 2019 to 16 Feb 2019. HPPSC Naib Tehsildar Result 2019: Himachal Pradesh Public Service Commission has announced the Result on 18 Feb 2019 for Naib Tehsildar Test 2019 . HPPSC Assistant Professor Result 2019: Himachal Pradesh Public Service Commission has announced the Result on 18 Feb 2019 for Assistant Professor Exam 2019 . HPPSC Range Forest Officer Result 2019: Himachal Pradesh Public Service Commission has announced the Result on 02 Jan 2019 for the exam which was conducted on 22 Jul 2018 to 30 Jul 2018. HPPSC Himachal Pradesh Subordinate Allied Services-2017 Main Exam Result 2019: Himachal Pradesh Public Service Commission has announced the Result on 02 Jan 2019 for the exam . HPPSC Naib Tehsildar & Tehsil Welfare Officer Result 2018: Himachal Pradesh Public Service Commission has announced the Result on 14 Dec 2018 for HPPSC Naib Tehsildar & Tehsil Welfare Officer Exam 2018 . HPPSC Lecturer & Assistant Town Planner Result 2018: Himachal Pradesh Public Service Commission has announced the Result on 03 Nov 2018 for HPPSC Lecturer & Assistant Town Planner Exam 2018 . HPPSC SET 2017 Result 2018: Himachal Pradesh Public Service Commission has announced the Result on 29 Oct 2018 for Himachal Pradesh Public Service Commission SET 2017 Result 2018 which was conducted on 06 May 2018. HPPSC CDPO Pre Result 2018: Himachal Pradesh Public Service Commission has announced the Result on 27 Sep 2018 for the exam which was conducted on 16 Sep 2018. HPPSC Naib Tehsildar 2016 Result 2018: Himachal Pradesh Public Service Commission has announced the Result on 17 Jul 2018 for Naib Tehsildar Examination 2018 which was conducted from 14 Apr 2018 to 15 Apr 2018. HPPSC HP Subordinate Allied Services (Prlm) Exam 2017 Result 2018: Himachal Pradesh Public Service Commission has announced the Result on 25 Jun 2018 for HP Subordinate Allied Services (Prlm) Exam 2017 . HPPSC Assistant Professor Screening Test Result 2018: HPPSC has announced the Result on 07 Apr 2018 for Assistant Professor Screening Test 2017 . HPPSC HPAS 2016 Result Declared: The commission today on 20.09.2017 has announced the result for Himachal Pradesh Administrative Combined Competitive (Preliminary) Examination 2016 held on 25.06.2017. The attached PDF below has the Roll Numbers of qualified candidates who has been called for HPAS (Main) Written Examination - 2016. Total 645 candidates has been selected for the mains examinations. Update 20.09.2017: Application format is published for the candidates who have cleared the preliminary stage of HPAS 2016 exam. HPPSC has announced the Result on 11 Aug 2017 for the exam which was conducted from 25 Feb 2017 to 26 Feb 2017. HPPSC has announced the Result on 11 Aug 2017 for the exam which was conducted on 28 Aug 2016. HPPSC has announced the Result on 18 Jul 2017 for the exam which was conducted on 03 Dec 2016. HPPSC has announced the Result on 15 Jul 2017 for Merit-List of candidates to the post of PGT-Physics held on 10.12.2016 which was conducted on 10 Dec 2016.